If you like bright, colorful clothing that makes you feel happy, then tie-dye is definitely for you. The vibrant designs provide a positive energy that you can’t get from any other kind of apparel. 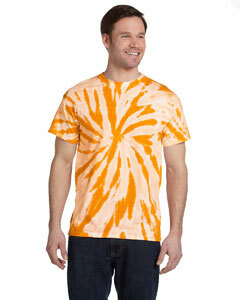 Our tie-dye selection here at Shirtmax includes shirts and hoodies in a wide variety of styles. We also offer bulk discounts! Tie dye is a great option any time you want a fun, casual look. For example, this style is perfect for family reunions and charity runs. 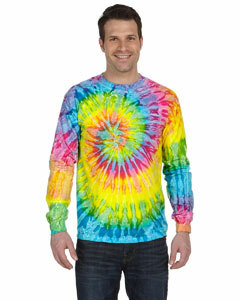 A rec league softball or kickball team could also use tie dye shirts for their uniforms. 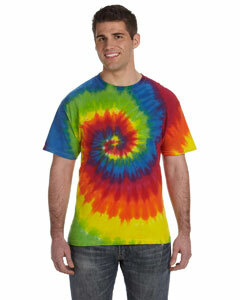 And if you’re planning an informal corporate event, why not hand out some tie dye company apparel? This clothing can add some extra positive vibes to just about any situation. 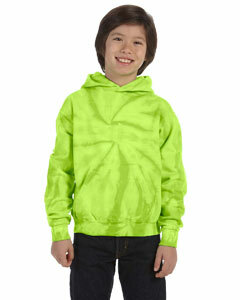 We offer stylish tie dye shirts and hoodies for both youth and adults. 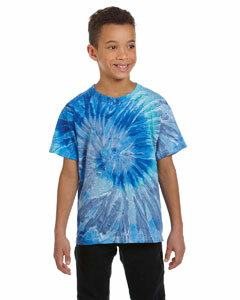 In terms of design, you’ll find plenty of tie dye clothing that features the classic spiral pattern. However, there are also “spider” patterns available, along with miscellaneous designs like “Woodstock”. And if you have questions about any of our tie dye products, you can always contact our customer service team. 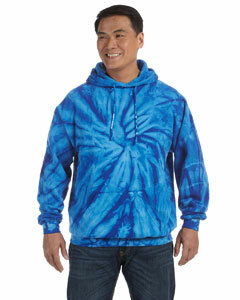 Just scroll down the page to view our entire wholesale inventory of tie dye tees and hoodies. The online checkout process at Shirtmax.com is both simple and secure. We also work hard to deliver your items quickly, whether you’ve bought in bulk or just purchased a single shirt. Most deliveries actually arrive within just 1-2 business days. Plus, we provide free shipping on orders over $69!